Oooh what a fantastic idea! It will be worth all of the hard work when it is done! Thanks! I know, I can’t wait to see it start to come together. Oh my gosh, I love hexipuffs! I don’t have near as many as I want, but I’m hoping to get back into them as I bought a ton of mini-skeins from MadTosh in Fort Worth. They’re so much fun! I can’t wait to see how your blanket comes out! Me too…. the MadTosh is soooo nice! 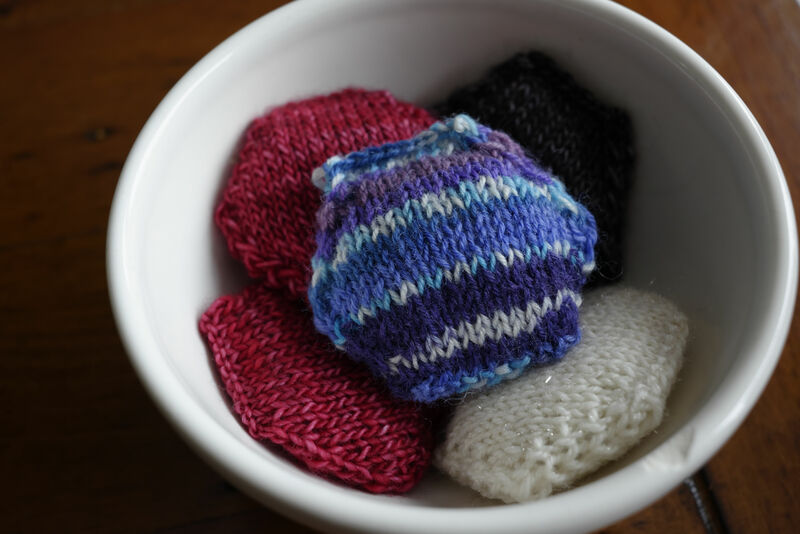 I realized last night that since each pair of socks leaves about 6 or 7 hexipuffs worth of yarn, that’s 50 pairs of socks!! So mine will either be 4 or 5 years in the making, or I’ll have to buy some yarn specifically for it… either way, I’m pretty happy! OK. I know it looks like I’m stalking you but you’re blog is great and I love to knit similar things to you. 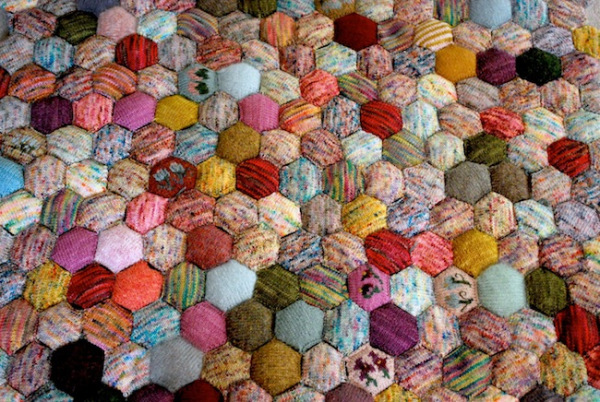 Have you seen the Button Quilt on Ravelry? It’s in my queue, having done about a dozen or so buttons. They’re in a bag somewhere. 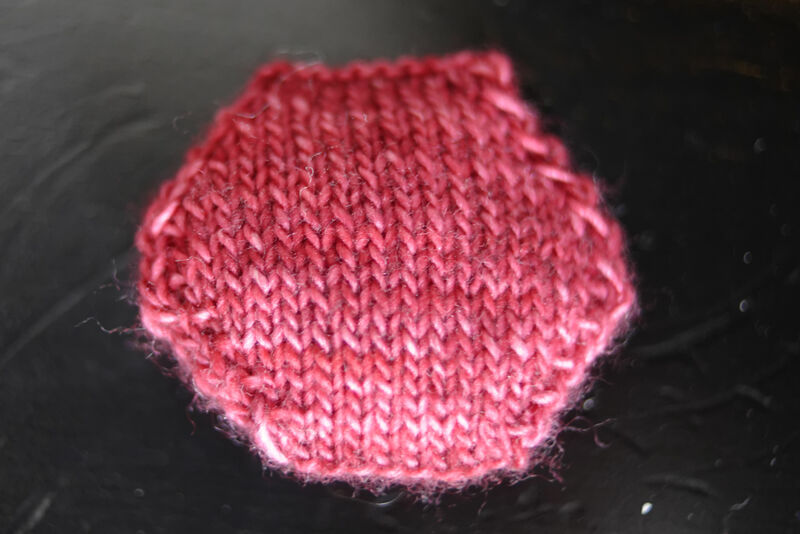 I started my hexipuffs just about the same time as you did – yours look great! I’m definitely obsessed with knitting them right now. They’re kind of a addictive, since you finish them so quickly! I just clicked through to yours – so pretty! I’ve had quite a few orders for these already. And they only take a small amount of yarn. I use sock yarn and sport weight.